April 14, 2018 April 14, 2018 VAFHO - Victorian Association of Family History Organisations Inc.
Is your family name on the Sale Cenotaph? 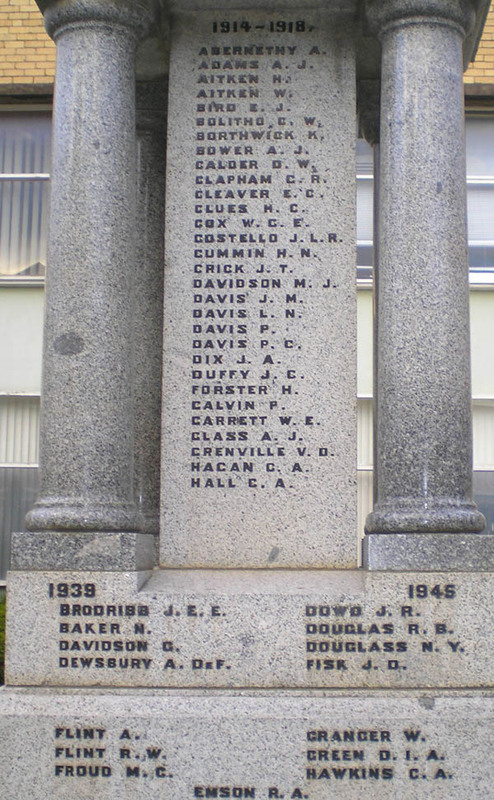 The Sale Cenotaph commemorates those who served from the region in World War I and World War II. It is located in the forecourt of the Sale Memorial Hall – the location of VAFHO Sale Expo. 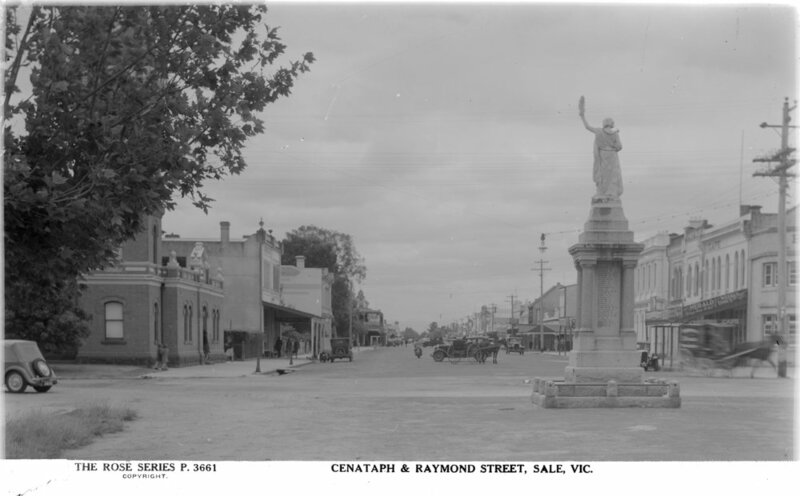 The Cenotaph hasn’t always been in the forecourt. It was relocated from its original position at the intersection of Raymond and Foster Streets as shown in this image from the State Library collection (H32492/5054). During your visit to Sale why don’t you also visit the Boer War Memorial. It can be found near the intersection of Foster and York Streets – where the Princes Highway makes a turn at the roundabout. 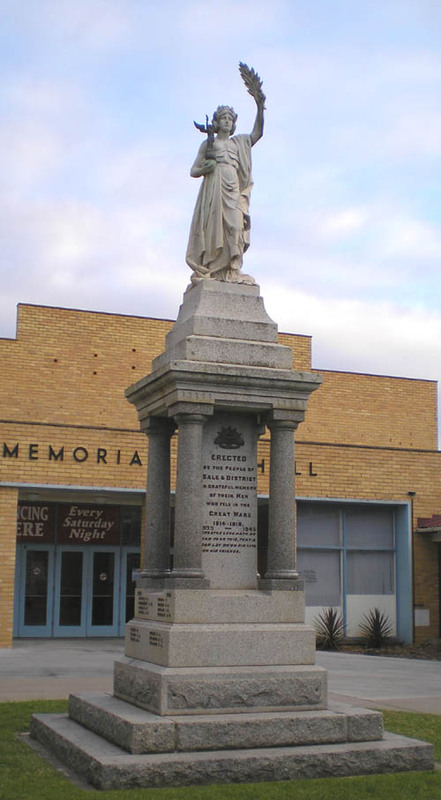 Read about this beautiful memorial fountain commemorating locals who served in the Boer War. Take a note of any family names and visit the Wellington Shire Heritage Network stand at the Expo for more details. Submitted by Linda Barraclough for Wellington Shire Heritage Network and Gippsland Local History Books : exhibitors at the VAFHO Family History Expo, Sale, 21 April 2018.